Intellicone Safelane is designed not only to help minimise the number of work zone incursions, but crucially to safely manage those that do take place. 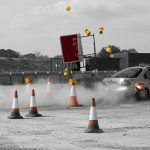 It is also designed to enable traffic management organisations to reduce the number of staff deployed in dangerous perimeter guarding duties, so that they can be safely and more cost-effectively deployed elsewhere. This last point is particularly resonant in an industry typically characterised by a shortfall of human resources, a reliance on expensive agency personnel and consequently also frequent delays. Chevron succesfully used Intellicone Safelane as part of its bridge replacement project for Balfour Beatty in Cheshire. 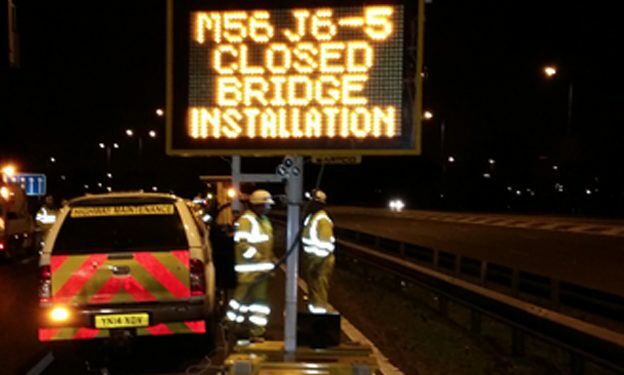 The company had to temporarily close the M56 near Manchester Airport between junctions five and six for 24 hours a day between 27th February and 2nd March, while it installed a complete bridge across the motorway; the bridge had been fully constructed in a nearby location. Intellicone enabled VMS were deployed at all four closure/access points, with CCTV mounted on the same platforms, and Intellicone cone barriers and contactless sensors were installed. VMS messages in advance of the work zone warned road users of the closure and CCTV surveillance. 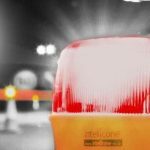 The Intellicone platform enables escalation of perimeter breaches of unmanned road closures points to gate men situated at check points and works access points prior to the actual workzone. During the weekend, there was only one perimeter breach by a police motorcycle. Intellicone sensors detected the incursion, automatically wirelessly triggering an Intellicone alarm situated with the gate men at the checkpoint prior to the actual workzone. The gate man was equipped with a panic alarm with which it was possible to trigger a further Intellicone alarm positioned near the workforce if the situation was deemed a threat to them and could not be contained by the TM operatives. The inclusion of this human element in the otherwise automatic solution ensured that workers were alerted only when absolutely necessary, thereby precluding the inurement that can often result from exposure to unnecessarily frequent alarms. The partnership between MVIS and Highway Resource Solutions (Intellicone) has shown to provide major benefits on large longer term closures where it is feasible to position mobile VMS. 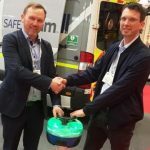 Similar benefits can be realised by deploying the Intellicone Safelane system on typical nightly closures where significant cost savings (up to 50% in cases) are possible whilst making the worksite safer. This can be with or without VMS depending on the type of closure. Where VMS are not feasible incident triggered CCTV is provided by Intellicone.